Wild Goats. Feral goats. 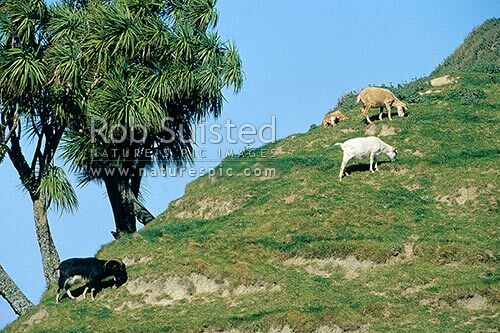 Capra hircus, Mahia Peninsula, Wairoa District, Hawke's Bay Region, New Zealand (NZ), stock photo.